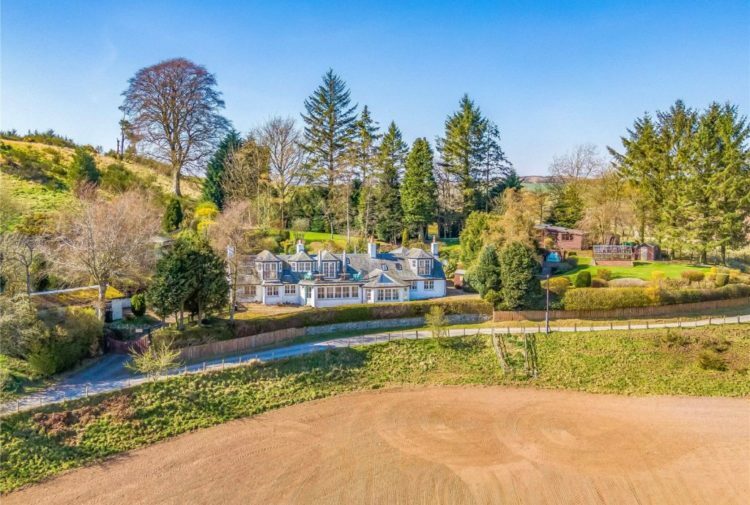 A substantial family home in an attractive country setting is for sale in Fife. 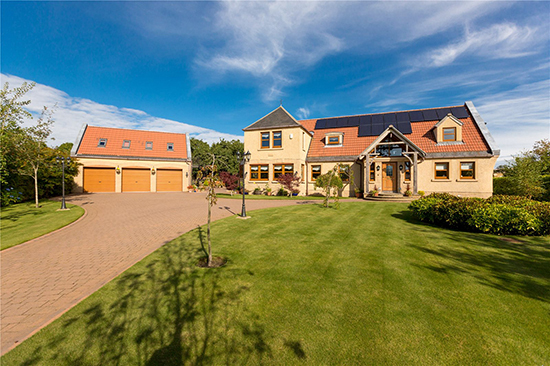 Galbraith present to the market Tamley House, Bramble Lane, Foodieash, Cupar, an impressive five bedroom detached house. 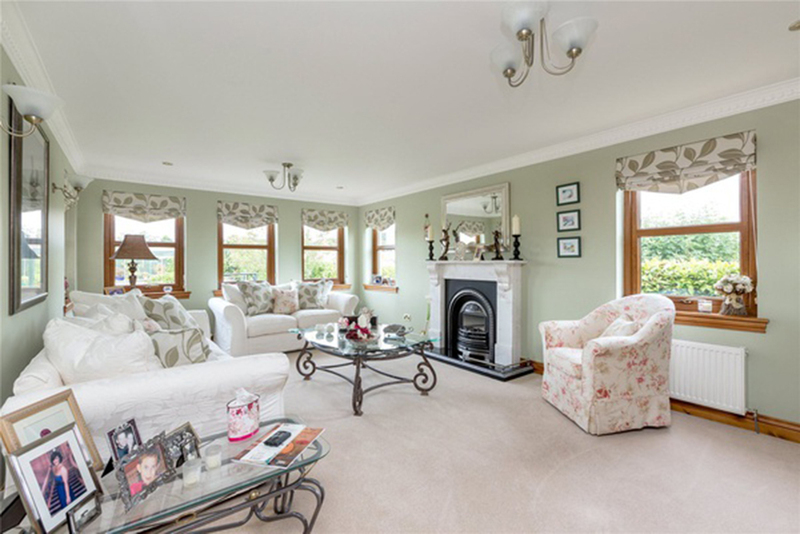 Tamley House is a well presented and substantial detached modern home, which enjoys a lovely setting on the edge of the quiet hamlet of Foodieash in north-east Fife. 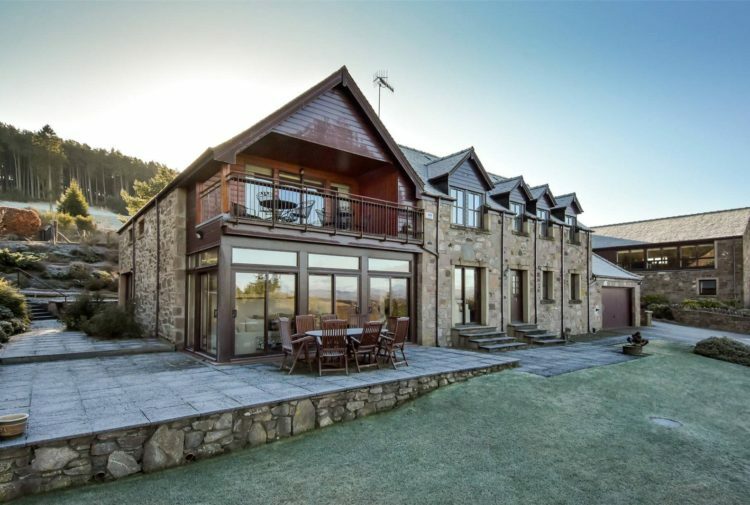 The house was built about 10 years ago and is one of an exclusive development of three properties situated on the north side of the hamlet with outstanding views out over the surrounding countryside. Tamley House is a spacious modern family house finished to a very high standard and offers flexible and beautifully proportioned accommodation over two levels extending to about 362 sq. metres (3,897 sq. ft.). Internally the house has been finished with great attention to detail and has a lovely open-plan bright and spacious feel. An impressive entrance leads into a dining hall over-looked by a galleried landing and glazed double doors lead out to a deck overlooking the private rear garden. Doors lead off the dining hall to a family room, sitting room, bathroom, office and games room/bedroom five. The sitting room has windows on three sides and benefits from a fireplace with a marble mantelpiece. The office has fitted drawers and cupboards on all four walls. The games room could be used as a fifth bedroom, off which is a bathroom with wc, wash hand basin, Jacuzzi bath and separate shower cubicle. 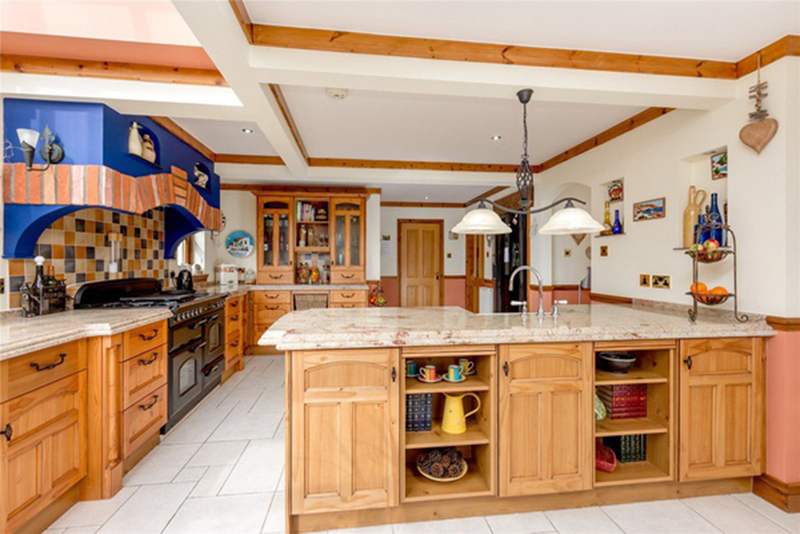 The well finished kitchen/family room looks out over the front garden and leads open-plan into the family room. To the rear of the kitchen is a pantry and a utility room which has an external door and benefits from a separate wc. The gardens are beautifully landscaped and well-presented and enclosed by a mix of traditional stone wall, wooden fence and hedges. The front garden is largely laid to lawn and interspersed by fruit trees and to the side of the house is a flagstone patio. The rear garden is largely laid to lawn and is overlooked by a deck off the dining area. To the west of the house is a triple garage with three separate electric up and over garage doors. 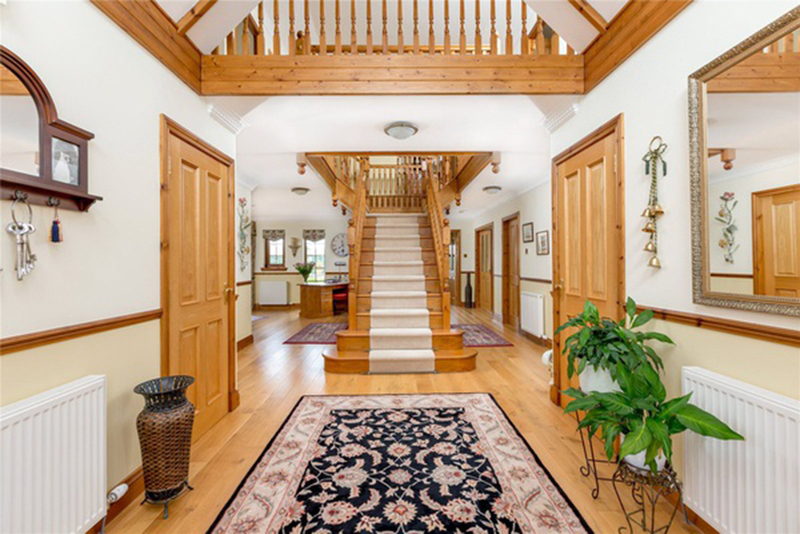 A wrought iron spiral staircase leads up to an annexe accommodation on the first floor. The annexe is currently used as a games room but could also be used as a home office. It has a kitchenette area and also a separate wc. There is also a garden shed attached to the rear of the garage. The house is situated a short distance to the north of the sought after town of Cupar, which offers an excellent range of local facilities and amenities with a good selection of shops, supermarkets, pubs, restaurants. The agents will consider offers over £699,995.